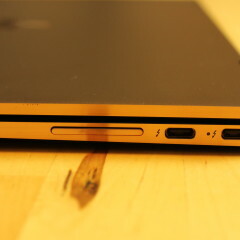 Back in December, I reviewed the 2016 model of the HP Spectre x360, which had been refreshed with Intel's seventh-generation Kaby Lake processors, Thunderbolt 3, and more. Giving it a 9.5 out of 10, I really only found two faults with it: the display is only offered with a 1080p resolution and there is no pen support. And then came CES, where HP announced all-new models of both the 13.3-inch and 15.6-inch variants. The new 13.3-inch Spectre x360 is exactly like last year's model, except for, you guessed it, a 4K display and pen support. 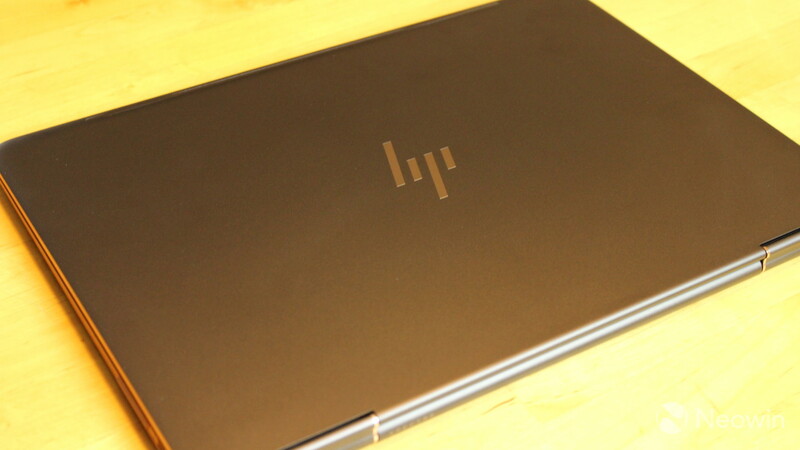 I walked away from my review in December thinking that HP had made what might be the perfect laptop, if it weren't for those two minor setbacks. 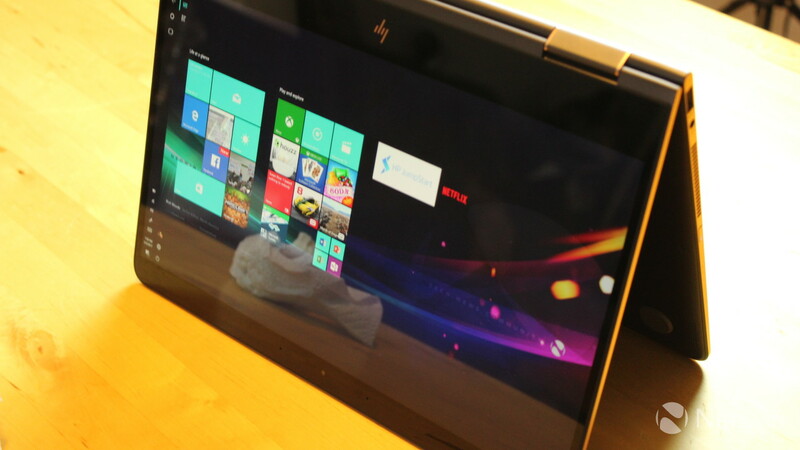 So is the Spectre x360 now the perfect laptop? Let's find out. Inside of the big ugly box that it came in, there were two items. One was a much nicer-looking box that would contain the device itself and a few other things, and the other is a sleeve to carry the Spectre x360 around in. I found this to be useful, even when I had it in a bag, as it would keep it from getting dirty. And inside of what I've so eloquently described as a "much nicer-looking box" was the device itself, some instruction manuals that remain unopened, the pen, and the charger. Obviously, the charger connects via USB Type-C.
Also, as is usually the case, the charger comes in multiple pieces. There's the power cable that connects to the device, an extension cable that plugs into a power outlet, and an adapter that you can snap onto the power cable to plug it into an outlet. 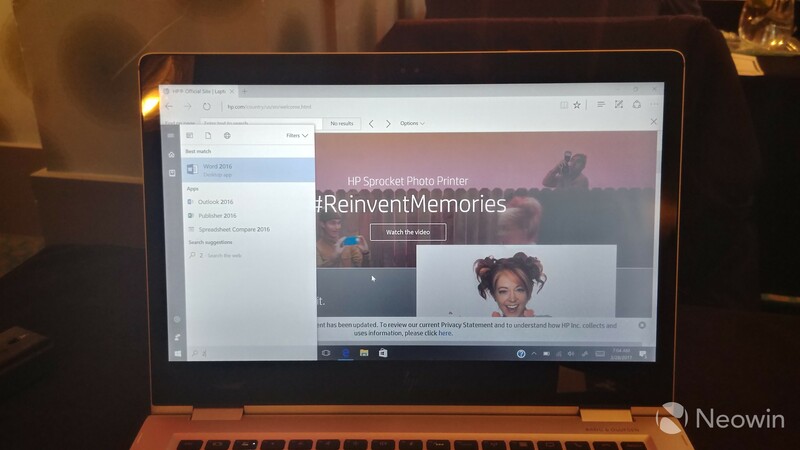 HP's Spectre x360 supports Windows Hello facial recognition, and it's still one of my favorite features in a PC. 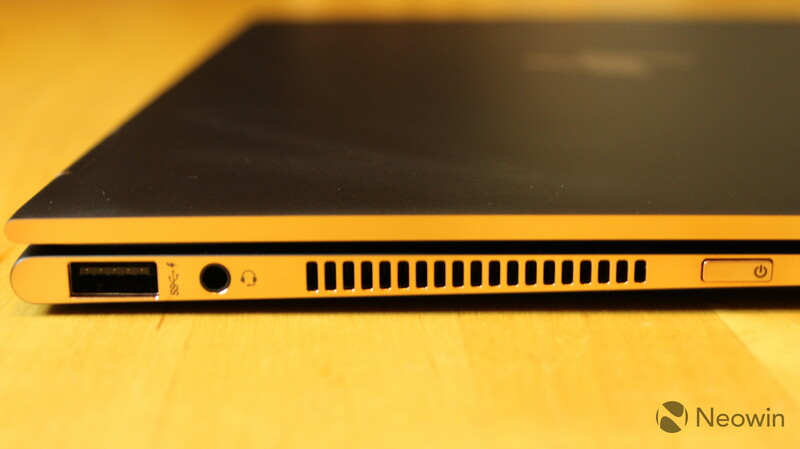 Personally, I think that facial recognition makes more sense on a laptop than a fingerprint or iris scanner as a means of biometric authentication. Since you're sitting in front of the screen anyway, it makes sense that it would recognize your face to log you in. 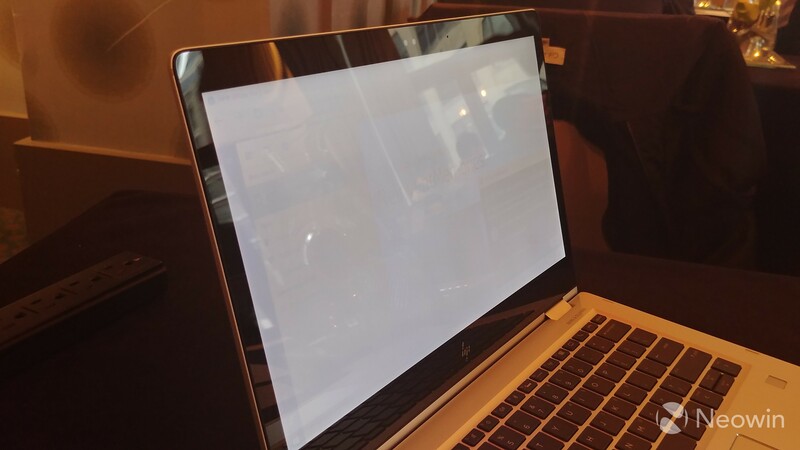 And the facial recognition on the Spectre x360 is fast. It's fast enough that it's convenient to use, because I've used many other Windows Hello devices and methods where I'd end up typing my PIN because it's easier than using biometrics, which defeats the point. Ultimately, it just feels natural. 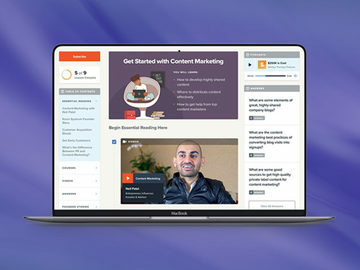 You open up the screen on the device, power it on, and wait for it to take you to the desktop. 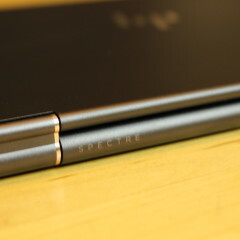 The new Spectre x360 has the same aluminum unibody as last year's model, but it comes in a new color: Dark Ash Silver. If you ask me though, that's a misnomer. There's really nothing silver about it. That's not to say that it doesn't look absolutely stunning; indeed, I'd prefer this color over the Natural Silver that the previous model was offered in any day of the week. 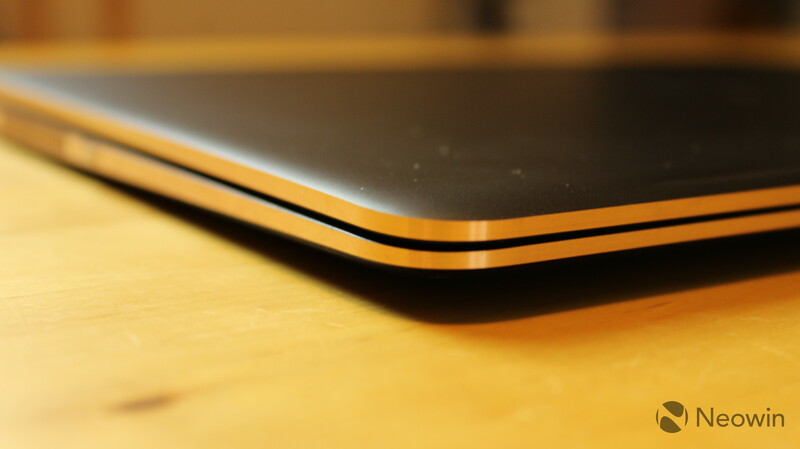 It's just that it's more of a gray, and if I had to compare it to another color, it would be Apple's Space Gray. 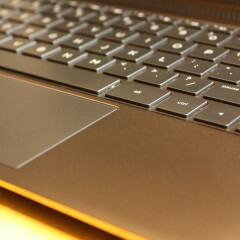 But the convertible also has copper-colored accents around the frame, the trackpad, and on the hinge. 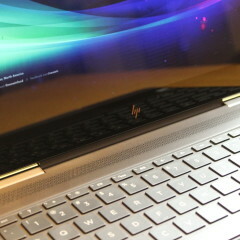 It's a machine that you won't get tired of looking at, since I really think HP nailed it with the design of this one. As mentioned above, other than the color, the design of the body is the same. 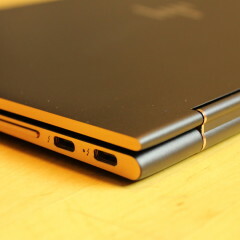 On the left side, you'll find a power button, a 3.5mm headphone jack, and a USB Type-A port. 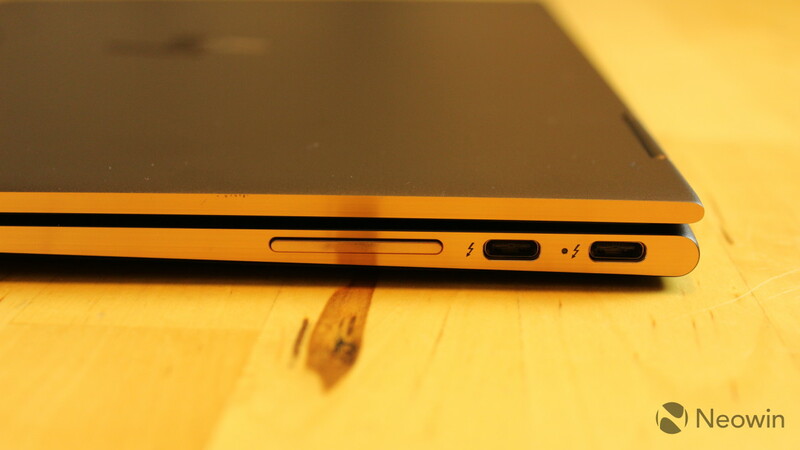 On the other side, there's a volume rocker and two USB 3.1 Type-C ports that support Thunderbolt 3. 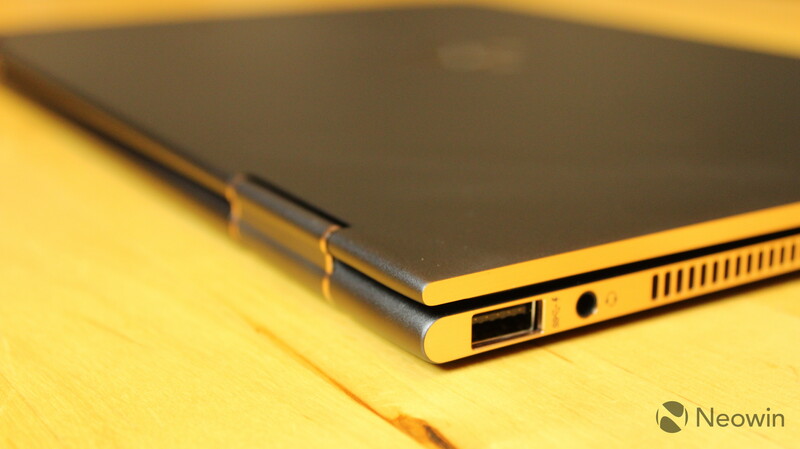 My one complaint about this setup is that a second USB Type-A port would be nice. I use a wireless USB mouse, and in those rare cases that I need to use portable USB storage, compromises must be made. 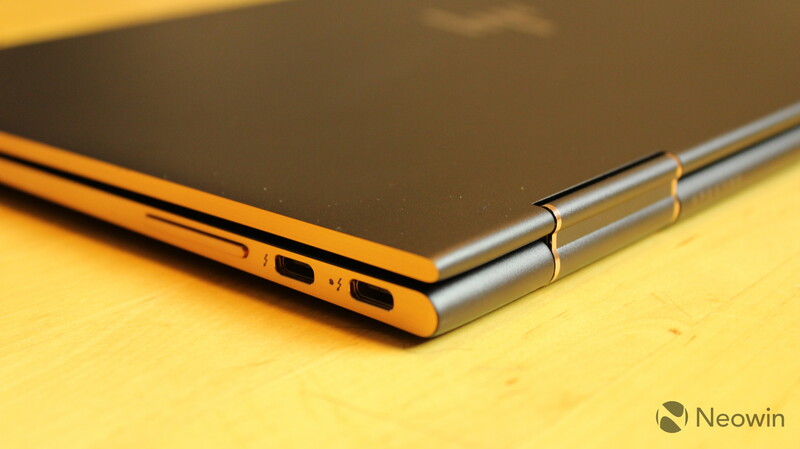 There simply aren't a whole lot of USB Type-C peripherals out there yet. Of course, either of the Thunderbolt 3 ports can be expanded, but I'm not in the habit of carrying around dongles and/or hubs. Thunderbolt 3 is a powerful technology though; you can power two 4K monitors or one 5K monitor from a single port. That means that the ports on the Spectre x360 support up to four 4K, two 5K, or two 4K and one 5K monitor. Note that I do not recommend using this many monitors, as the Intel HD Graphics won't be able to handle it, but I wanted to point out how much power is behind a pair of Thunderbolt 3 ports. 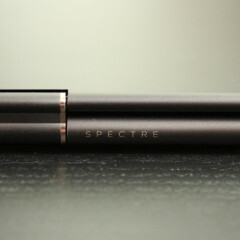 The display is nearly edge-to-edge, with bezels on the sides that are just 5.45mm each. 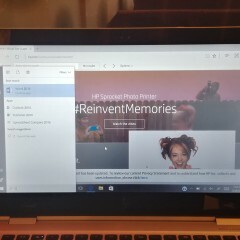 There's a bit more space on the top of the screen, which makes room for the webcam and Windows Hello camera. This placement works out well for a standard laptop mode, but if you're using the device in a mode where the screen is upside down, it causes a problem. Normally, I break up display and battery life into separate sections of a review, but in this case, the two are directly related. 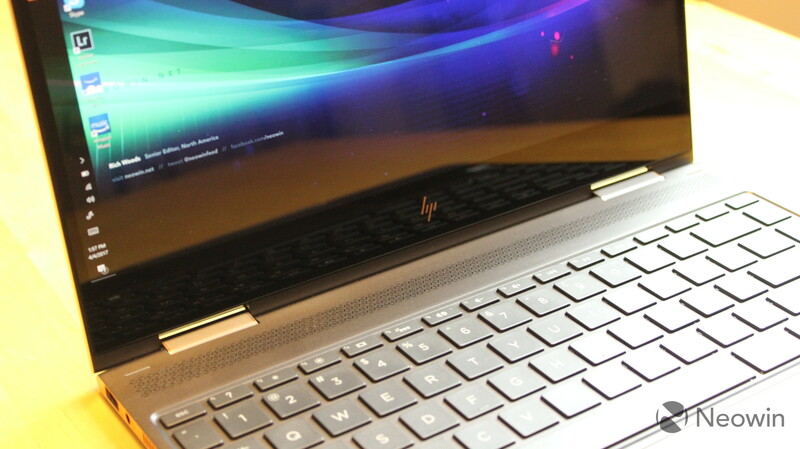 Let's make one thing clear: the 4K display on the HP Spectre x360 makes everything absolutely beautiful. 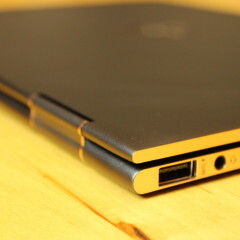 Everything you're looking at simply looks better than it does on the 1080p model. Also, it's not just the resolution. The colors are accurate yet vibrant. It's a very pleasing machine to look at all day while you're working. 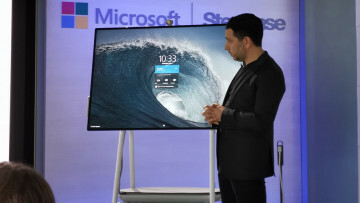 But a 4K display has 8.3 million pixels, which is four times as many as 1080p, and that requires additional power. There's a trade-off that's made here, and that has to do with battery life. 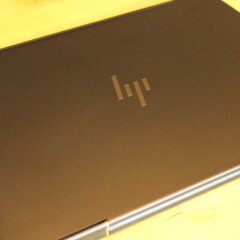 For the 1080p model, HP promised 15 hours of battery life, and for this one, the firm is promising nine and a half. Neither of these numbers are accurate, which tends to be the case with Windows laptops, so I'm not calling the company out on that. I was able to easily get eight hours of battery life from last year's model, but with this one, it dies after about five hours. To be clear, testing is normal use; for example, today was about an hour of Netflix, browsing in Chrome (mainly writing this review), chatting on Skype, and playing music via the Amazon Music app. As a reviewer, I'd definitely say that the trade-off is worth it. You won't see pixels when you look at this screen, and it's a very pleasant experience. One more note that I want to make about the display is that the scaling seemed really off at the default 300%. I ended up changing it to 200%, which is much more suitable. 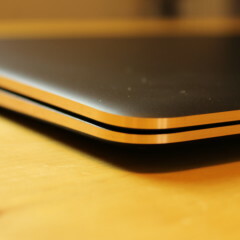 The glass trackpad is certainly one of the finer points of the machine. 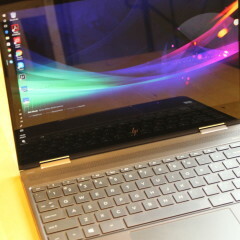 It's quite large, and it's comfortable to use. I did have one minor problem with it, which is that when I adjusted the scaling to 200%, the speed of the pointer was significantly slowed. 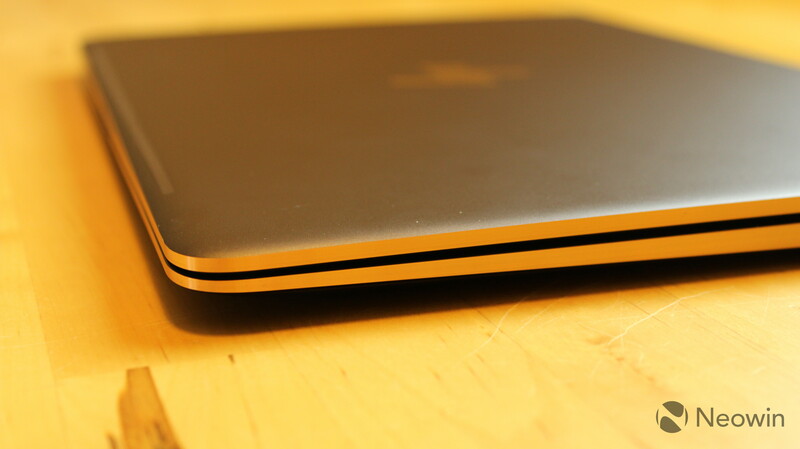 Of course, this can be (and was) adjusted in Settings, but it's worth taking note that there may be a few minor tweaks that you might have to make with the Spectre x360. 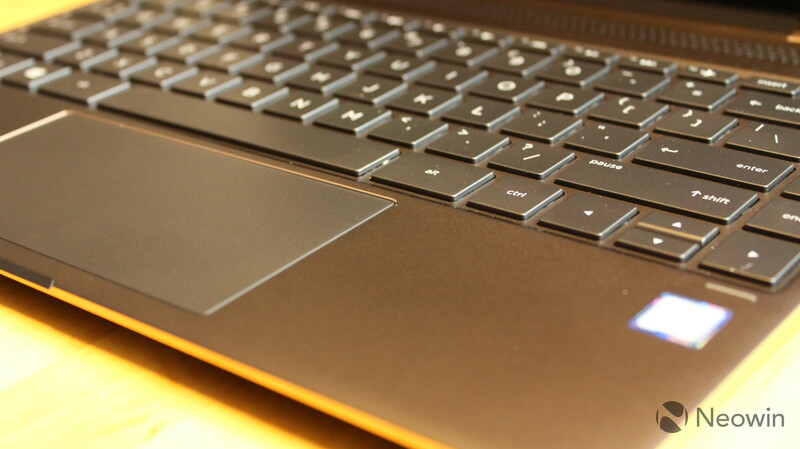 As with the 2016 model, the keyboard is a pleasure to use. 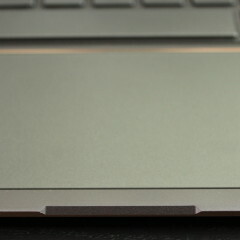 Being edge-to-edge, it's about the same width as the display, and has a 1.3mm travel, which is just a bit more shallow than the standard 1.5mm, but I find it very comfortable. Of course, I type for a living, so the keyboard is very important to me. This is why I type all of my PC reviews on the device I'm using. 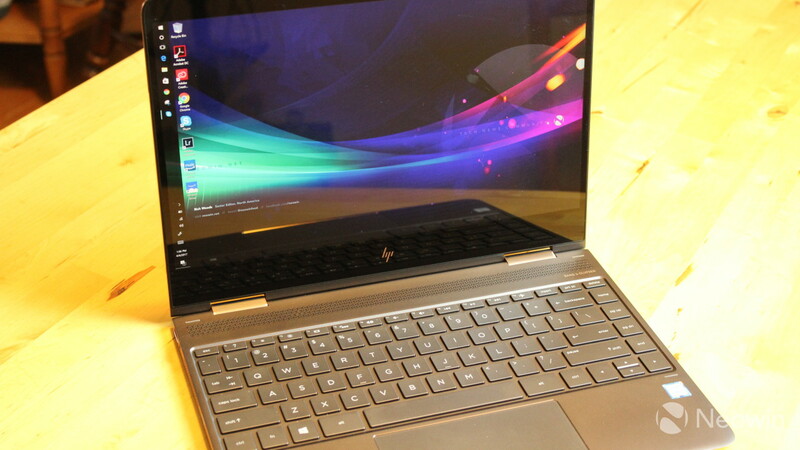 The test is that if I make it to the end, I can live with the keyboard, but I've used HP's Spectre x360 so much recently that I'm honestly not worried about it. 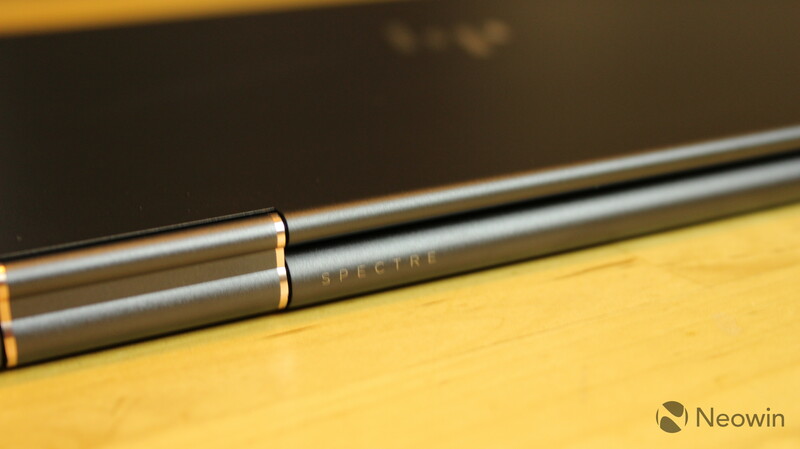 As you'll see in most of HP's premium products, the Spectre x360 uses Bang & Olufsen audio technology. The tl;dr version of this is that they sound great, and I never felt myself wishing that I was using an external speaker. 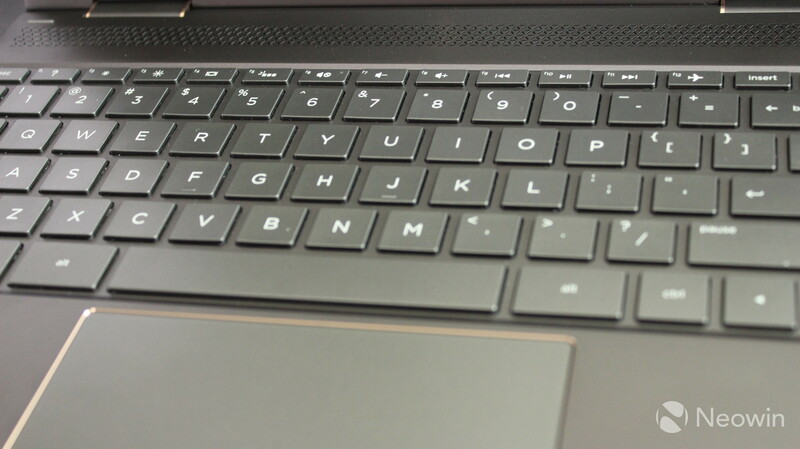 The Spectre x360 has four speakers: two that are placed right above the keyboard, and two that are directly underneath the device. 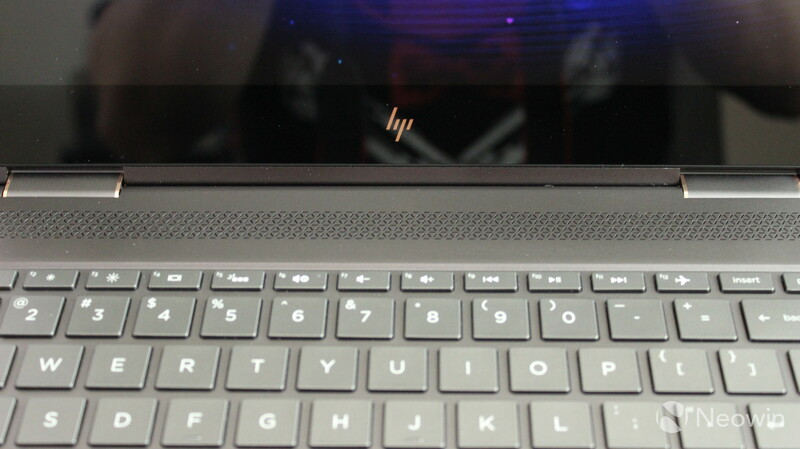 While it might not make immediate sense as to why HP would put speakers on the part of a laptop that's flush against your desk, there's actually good reason for this. 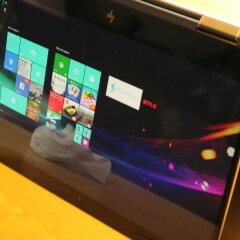 It's important to remember that this is an x360 device, which is HP's brand for convertible laptops. 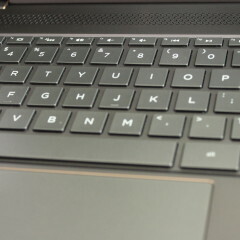 If you have it in a tent mode, the speakers on the keyboard are now facing away from you, and the bottom is now facing toward you. It's a smart design. But the point of all this is that the speakers sound great no matter what position the device is in, and they're loud too. As mentioned in the beginning of this section, I never felt a need for any kind of external speakers. Also, I am by no means an audiophile, and if you are, you might still want to use your preferred speakers, but most people should be happy with the built-in ones. 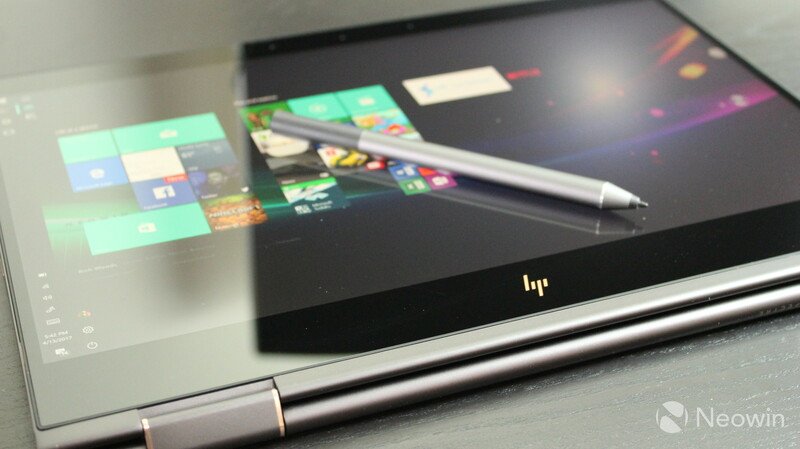 HP offers a number of products that are called 'x360'. 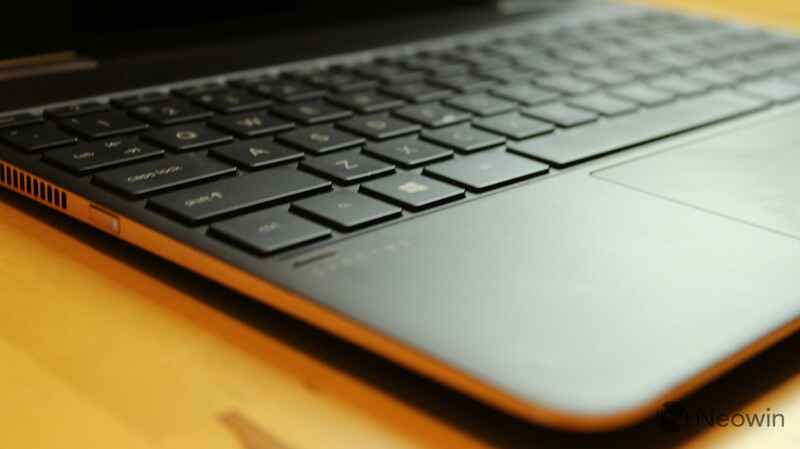 There's the EliteBook x360, which is for businesses, the Pavilion x360 for the mid-range, and of course, the Spectre x360, which is aimed at the premium consumer market. 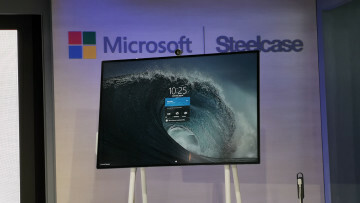 This can be attributed to the 360-degree hinge, meaning that you can fold the display into a number of form factors. 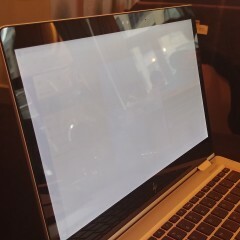 Keeping your display at the standard 90-ish degrees is laptop mode, which is presumably how you would be using the Spectre x360 most of the time. In fact, if any of the other options will be the dominant way that you use the convertible device, you should probably be looking at something else. At 270 degrees, you pretty much get the opposite of that. In this setting, the keyboard is placed face-down and the screen is bent upward toward you. This can be useful for watching movies, or doing presentations and such. Next up is tent mode, where the device is placed in a position that's, you guessed it, in the shape of a tent. I really only use this setting for watching movies and TV shows. 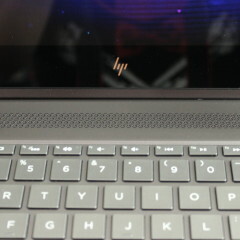 Finally, we have tablet mode, where the display is folded all the way back. This is what I meant when I said that if you're going to primarily use the device like this, you might want to take a look at a device with a detachable keyboard, such as a Surface Pro 4 or Huawei MateBook, depending on your needs. The Spectre x360 is great when using it as a tablet in a pinch, or if you want to do some work with a pen, but the truth is that if you're looking for heavy tablet usage, it just weighs too much to be comfortable while holding. 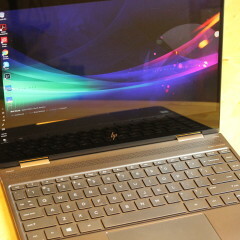 This isn't a fault of HP's, of course; it's just a sort of pitfall for the form factor itself. 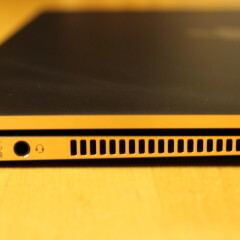 This is my least favorite part of a review, mainly because it's where I start screaming at inanimate objects that every PC should be a Signature PC, but alas, the Spectre x360 does come with a bit of pre-installed software, some of which I'd call bloatware. Before we get into that though, I want to point out one major piece of awesomeness, which is that this device received the Windows 10 Creators Update on day one. 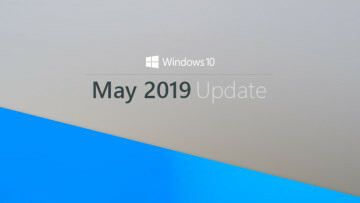 Microsoft had said that it would roll out to newer PCs first, but I was skeptical since the 2016 model still hasn't received the Anniversary Update to this day. And now, back to the task at hand of looking at the pre-installed software on the Spectre x360. 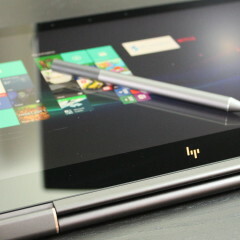 Of course, there are some HP apps, such as ePrint, Recovery Manager, and Support Assistant. These are somewhat necessary, as Support Assistant is where you'll find driver updates. 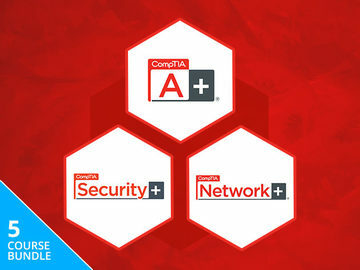 My biggest problem with the pre-installed software is McAfee LiveSafe. Personally, I don't think this software is necessary for anyone. It's annoying even if you never activate it, and removing it was one of the first things I did upon setting up the laptop. As with any Windows 10 installation, you'll find a number of UWP apps pre-installed, such as Netflix and Minecraft: Windows 10 Edition. 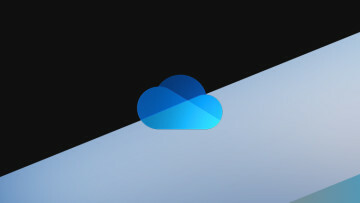 These can be removed easily enough if you don't want them, by right-clicking on the appropriate entry in the Start Menu and clicking uninstall. 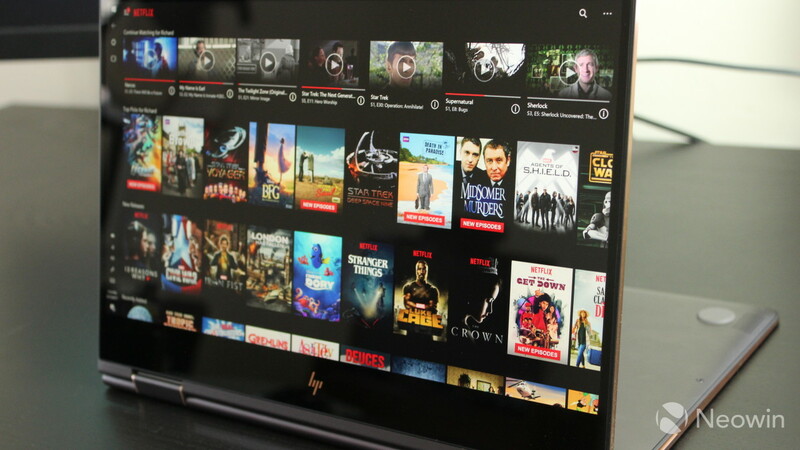 Before you remove Netflix though, keep in mind that this device does have a Kaby Lake processor and a 4K display, which means that it's one of few PCs that are actually capable of streaming Netflix in UHD. 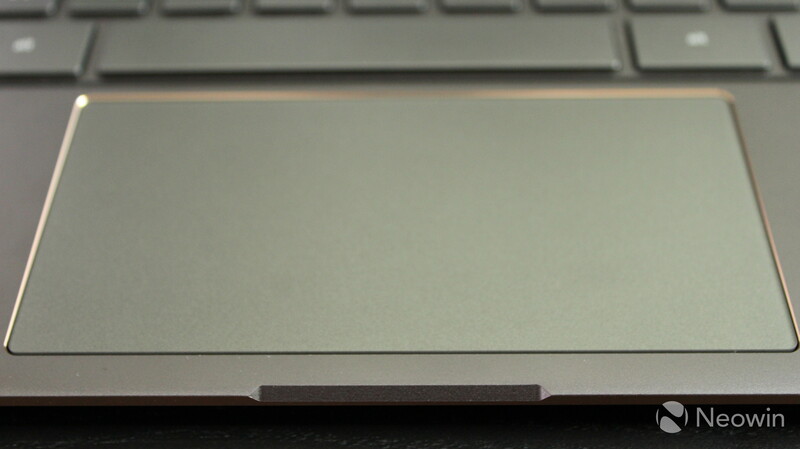 It's worth noting, since you can't even do that with any of Microsoft's Surface devices. Again, the pre-installed software isn't a deal breaker by any means; it's just that anything McAfee-branded annoys me. If you want to turn it into a Signature PC, you can always do that too, by performing a fresh installation of Windows 10. 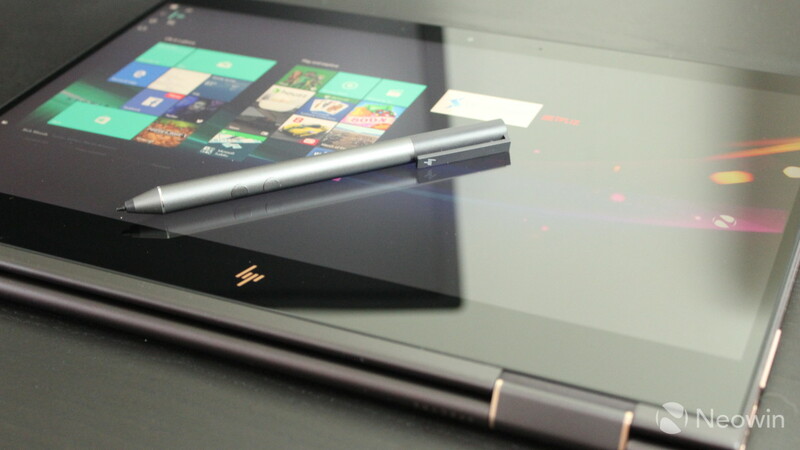 There was a bit of confusion when I first unboxed the HP Spectre x360, but the pen is indeed N-Trig, which is Microsoft's technology that's used in its latest Surface Pens. 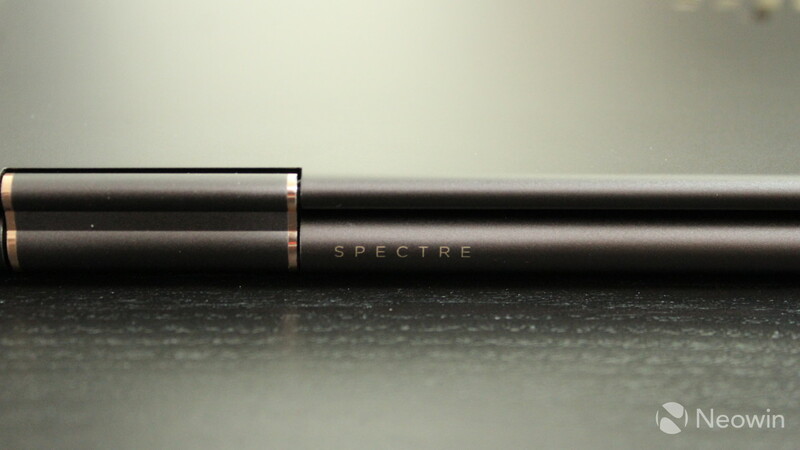 I found this to be unfortunate, since I was under the impression that it was Wacom, and was looking forward to a pen that didn't need a battery. 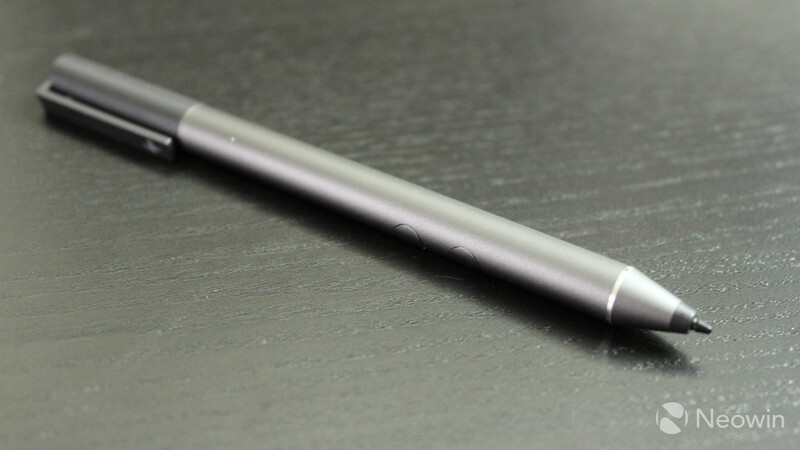 Personally, I'm not a big pen user, so I find it extremely frustrating that when I go to use one after a few months of inactivity, the battery needs replacing before I can use it. 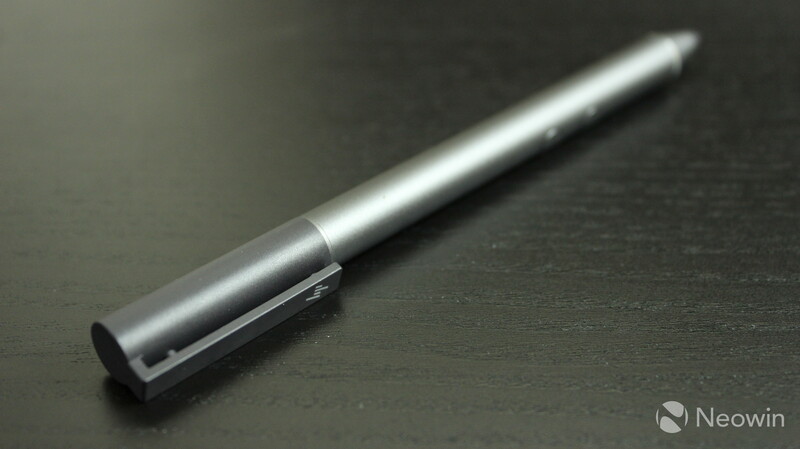 The other downside to it is that there's no place to store the pen; it has a clip on it, but it doesn't attach to the device in any way, like how the Surface Book's does, via a magnet. This can be frustrating for on-the-go usage. 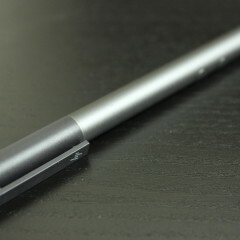 Still, active pen support on a machine like this is a big deal. 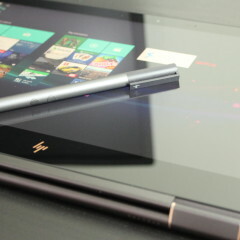 After all, if you're going to be using it as a tablet, you might want to draw on it, and now you can. 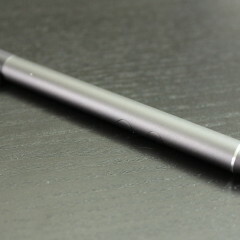 With the various aspects of Windows Ink, pen support adds to the completeness of the device. 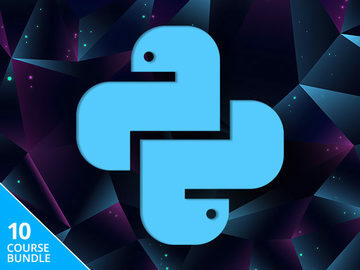 If you ask me, it wouldn't make a whole lot of sense on a traditional laptop, but now you have the opportunity to explore a number of other form factors, so you might end up wanting to draw out that map or write on that photo. 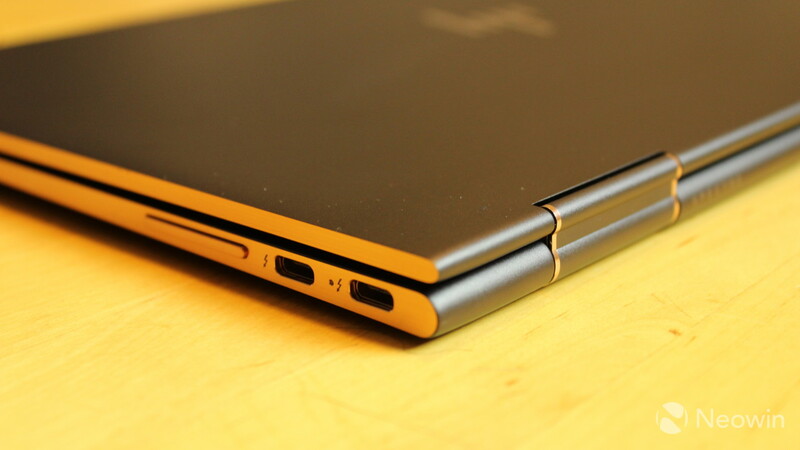 The point is that you have the proper options that you need for a device of this form factor. 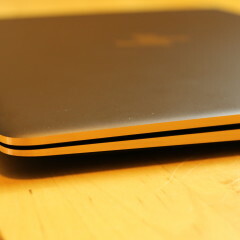 I've used the HP Spectre x360 as a daily driver since I got it a few weeks ago, and I've been satisfied with the day-to-day performance. This includes browsing in Chrome, some light Photoshop work, Skype, and the various other tasks that a journalist would do. In other words, I don't use it for anything that's too draining on the resources, unless you count having dozens of tabs, OneNote, Skype, Photoshop, and more open at the same time. I did notice that when streaming 4K video, there is the occasional stutter. It's barely an issue, but it's worth noting. I use PCMark to benchmark PCs, and I ran three tests: baseline, creative, and productivity. They're pretty much self-explanatory. So, what I really mean when I ask such a question is if it's perfect for the average use case of someone that just wants a really awesome premium ultrabook, and yes, the Spectre x360 fits the bill. It's a wonderful machine that's a pleasure to use. The biggest drawback is the lackluster battery life, which is directly caused by the 4K display. 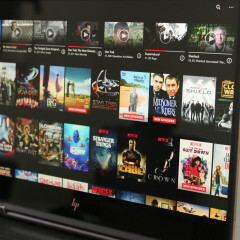 Luckily, there are some other options available, including one with pen support and a 1080p display, and of course, the one I reviewed last year with no pen support and a 1080p screen (which is still on Windows 10 version 1511). You'll undoubtedly get better battery life with one of the 1080p models, but of course, you're making the sacrifice on display quality. Personally, I feel like a 1440p option would be an excellent compromise, but unfortunately that's not available. 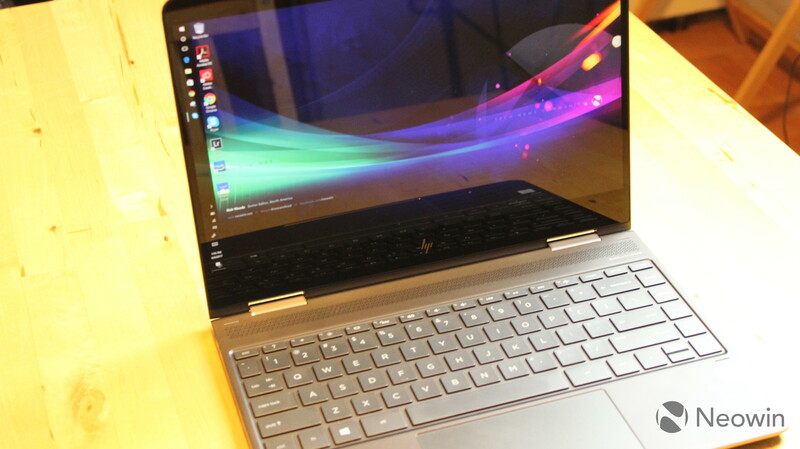 You can also get a 15.6-inch model that has a 4K display and pen support, and while it will be heavier, it also packs a larger battery. 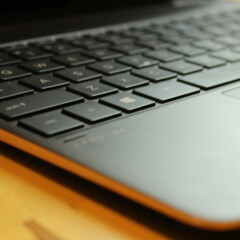 Ultimately, the 13.3-inch HP Spectre x360 with a 4K display and pen support is one of the best laptops I've used, and I'd say that you should go ahead and buy it if that's what you're in the market for. Just make sure that you're willing to put up with about five hours of battery life.